It would be many years before Dr Fong would develop a treatment, but by then it would be too late. The sea would be black, the sky would be bruised, and all the oil would be rotten. The folks at Exxon would be as hungry as the rest, and they’d look back on the day that Dr Fong came to them and wish they’d left the crystal safely in its case, far from the lasers and chemicals that would ultimately awaken it. “What do you want with it?” they’d remember asking. “Oh, it’s just a hunch,” they’d remember him say. Very sinister. And all for the want of leaving a crystal in splendid isolation. Good idea. No idea what's going on here, Simon, but there's plenty to get a hold of and fear. Loved the Armageddon imagery in the first part… and that the Mad scientist might be the supervillain behind it all.. It's always the mad scientist, right? Nicely writen. Thanks Björn. And it's always the mad scientist. Hindsight's always 20/20 isn't it? Your story would make a good sci fi movie. The first time I read it, I read “Dr. Frog”, which gave me a slightly different perspective. :-) It's easy to look back and see what we should have done and to whom we should have listened, isn't it? Inventive use of the prompt! This could be the start of a far bigger story. Excellent. Dr Frog…a Muppet version of this story would be awesome. Although, to be fair, a Muppet version of any story would be awesome. Excellent story, Simon. I find it curious to have an Exxon exhibit in a natural science museum, and I love what you did with the picture. 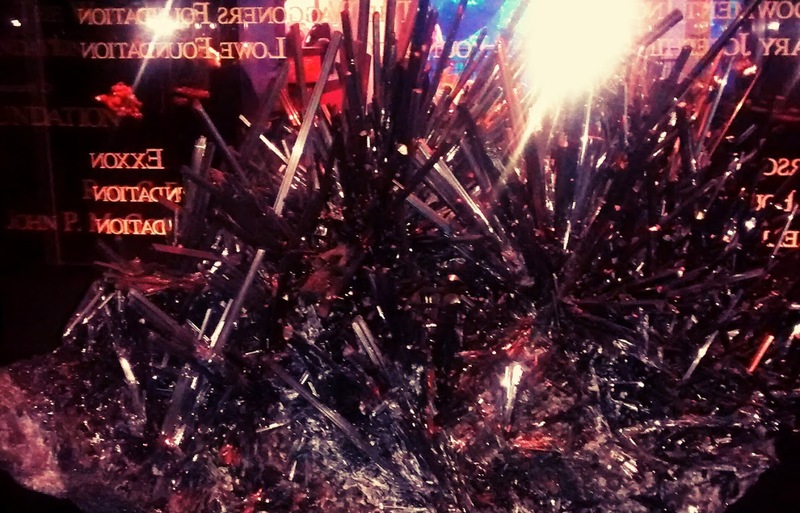 That crystal does look evil, whatever it is. I like where you've taken this – a great idea.